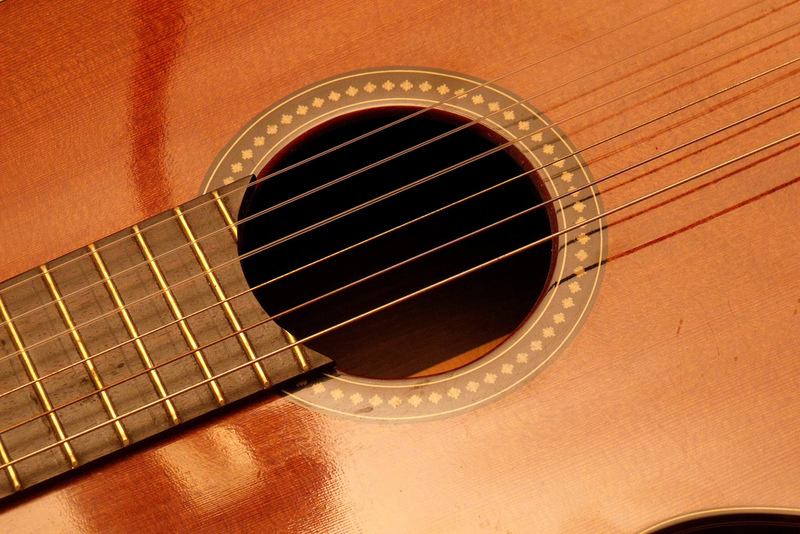 The original "gut strings" used for classical guitars were made from the small intestines of sheep. The three treble strings were made from sheep intestine, referred to as plain gut, while the three bass strings were made of a silk thread core wound with gut. The production material changed to nylon due to World War II, when all available gut was used in the production of surgical thread for wounded soldiers. In the mid 1940s, Andres Segovia mentioned the shortage of good gut guitar strings in the United States, particularly his favorite Pirastro catgut strings, to a number of foreign diplomats at a party, including General Lindeman of the British Embassy. A month later, the General presented Segovia with some nylon strings which he had obtained via some members of the DuPont family. Segovia found that although the strings produced a clear sound, they had a faint metallic timbre which he hoped could be eliminated. In 1946, Segovia and Augustine were introduced by their mutual friend Vladimir Bobri, editor of Guitar Review. On the basis of Segovia's interest and Augustine's past experiments, they decided to pursue the development of nylon strings. DuPont, skeptical of the idea, agreed to supply the nylon if Augustine would endeavor to develop and produce the actual strings. After three years of development, Augustine demonstrated a nylon first string whose quality impressed guitarists, including Segovia, in addition to DuPont. Since the development of nylon guitar strings, the three treble strings are a single unwound line of nylon filament, while the three bass strings are made of a core of fine plastic threads wound with bronze wire or silver plated copper wire. Sep 13 Did You Know?